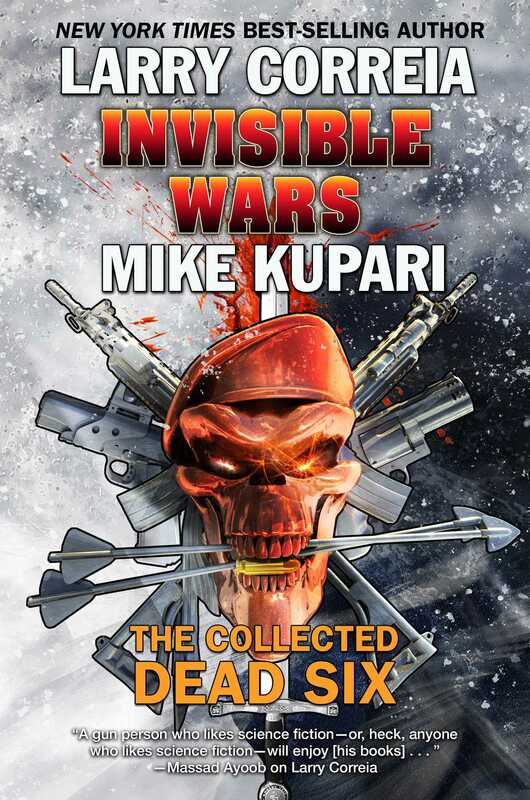 OMNIBUS EDITION OF ALL THE HARD-HITTING MILITARY THRILLER DEAD SIX NOVELS from the creator of the multiple New York Times best-selling Monster Hunter series Larry Correia and the best-selling science fiction author Mike Kupari. Inlcudes the novels Dead Six, Swords of Exodus, Alliance of Shadows, plus three short stories and an all-new introduction from the authors. Dead Six: Michael Valentine has been recruited by the government to conduct a secret counter-terror operation in the Persian Gulf nation of Zubara. The unit is called Dead Six. Their mission is to take the fight to the enemy and not get caught. Lorenzo, assassin and thief extraordinaire, is being blackmailed by the world's most vicious crime lord. His team has to infiltrate the Zubaran terrorist network and pull off an impossible heist or his family will die. When Dead Six compromises his objective, Lorenzo has a new job: Find and kill Valentine. Swords of Exodus: On the far side of the world, deep in former Soviet Central Asia, lies a stronghold called the Crossroads. It is run with an iron fist by a brutally effective warlord. Enter Lorenzo, thief extraordinaire, and Michael Valentine, implacable mercenary warrior. Their task: team with a shadowy organization of modern day Templars and take down a brutal slave lord. Alliance of Shadows: Europe has spiraled into chaos. In the midst of the disorder, mercenary Michael Valentine and his team are trying to track down an evil woman bent on total power. They’re on their own, with few friends, few resources—and racing against the clock. Plus, two short stories set in the Dead Six universe: "Sweothi City" by Larry Correia, and the two-part short story "Rock, Meet Hard Place" by Mike Kupari and Peter Nealen. Features a brand-new introduction by Correia and Kupari!